The Department of Prints and Drawings dedicates an exhibition to Simone Cantarini (Pesaro 1612 - Verona 1648), also known as Simone da Pesaro, painter, draftsman and printmaker. 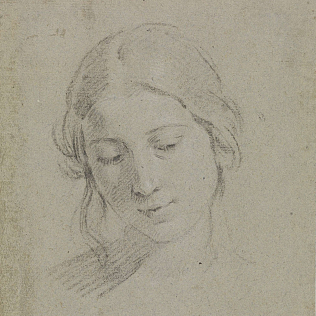 Simone was an artist very famous in Bologna during the 17th century, who studied with the great artist Guido Reni: Simone was very close to his master, but he was also passionately in competition with him. Already in the second half of the 17th century, some works on paper by Simone came to the Department of the Uffizi. Today, 42 works by Cantarini - drawings and etchings - are exposed: they witness the work of cataloging and digitization of the graphic heritage of the Gallery, the Euploos project. Drawings of this exhibition are made in pencil, pen, black and red stone. They give testimony of Cantarini’s talent and mastery of different techniques. He was also an original and innovative engraver. The presence of drawings and engravings allows visitors to compare the two types of works and to understand the \"dialogue\" between them, strongly representative of the Cantarini’s work. A native of the Marches, Cantarini in his works represented the characteristics of its lands, thanks to a style learned from the study of Central Italy and Venetian painting. His death was sudden and not without mystery. His most important works date back to his period in Bologna.